Originally I was not going to share this recipe. I had made this Pumpkin Bread recipe for Christmas gifts to our neighbors. However, when I cut the loaf, I was not real happy with it. Because I did not see the bigger picture. As the days of winter continued, and we consumed the loaf, I got a very clear picture. Which is this, this loaf of Pumpkin Bread is a wholesome, delicious quick bread that adapts to any meal you wish to serve it with. Yes, any meal. It is great buttered with a bowl of soup for lunch or made into french toast for breakfast and it is excellent as cinnamon toast as well. I am not certain why I always relate a loaf of quick bread with sweet and/or dessert. But honestly, a loaf of quick bread is so much more. And I hope you give this one a try, made with whole grain and honey, it is perfect to offer to family and friends at meal time. 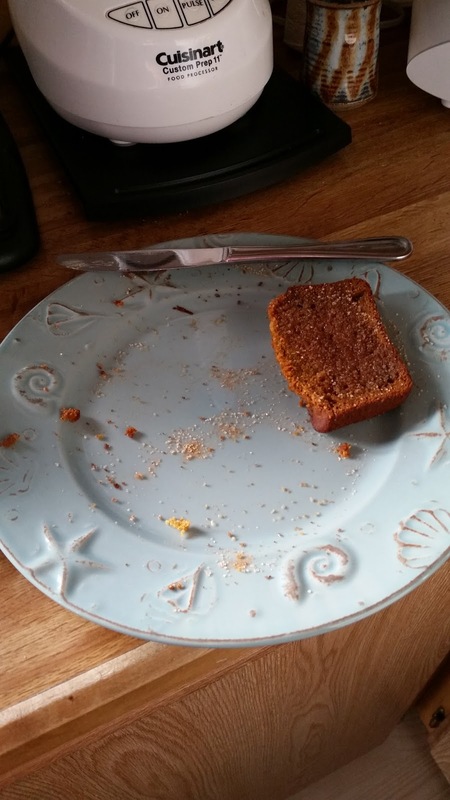 Pumpkin Bread, whole grain, and honey sweetened. 2 c whole wheat flour - we prefer pastry grind for all baking. In a large bowl, beat together eggs and honey. Add pumpkin, oil and buttermilk, stir well to combine. In a small bowl, combine the flour, soda, and spices. Whisk to mix together evenly. Stir dry ingredients into the wet ingredients. Turn into a prepared loaf pan. Bake 60-70 minutes or until done in your oven. Let cool in pan 10 minutes, turn out and cool completely. Wrap in parchment and store 24 hours before slicing. Pumpkin Bread toasted with Cinnamon Sugar Sprinkle. Oh, yum!!! One of my goals for 2017 is to learn to bake better. ((I"m a *terrible* baker....!!)) I'm thinking I could handle this pumpkin bread!? Thanks for sharing! Quick bread is perfect for bakers still in learn mode! Thanks for visiting. Great idea to use this for french toast. Now I want to try it. It was a frugal move on my part, but one worth talking about! Thanks for visiting. I agree with you Pumpkin Bread is good the year around, we love it and your recipe looks delicious. Thanks so much for sharing your awesome post with us at Full Plate Thursday. Wishing you a fantastic 2017! Thank you Miz Helen, have a wonderful 2017. 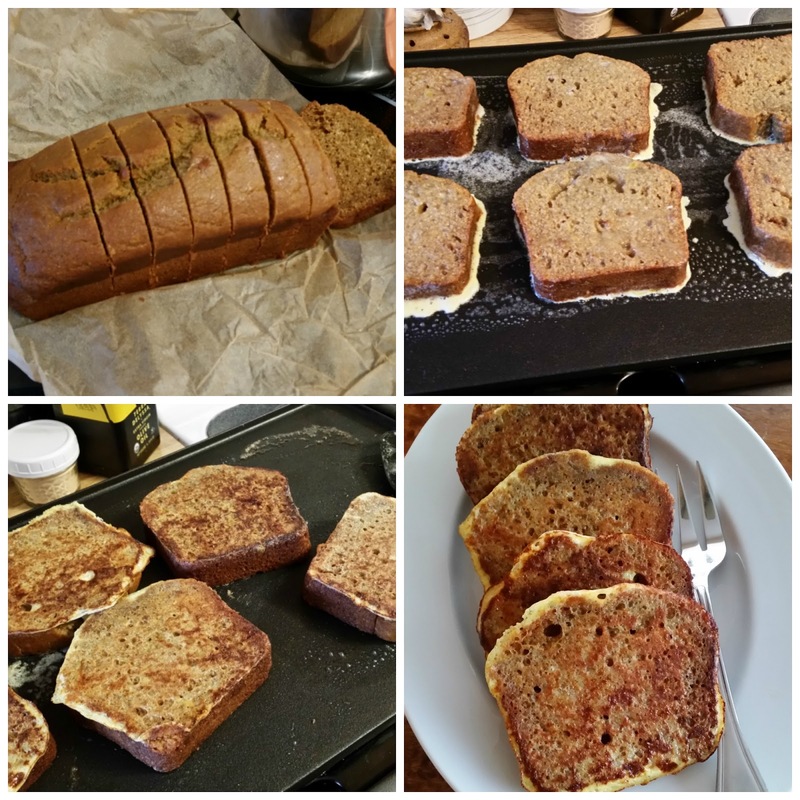 We love pumpkin bread, and I love your idea of toasting it! I think I'll be trying this recipe soon, thanks so much for sharing at Funtastic Friday! Thank you, see you next recipe! We love pumpkin all year too. Your bread looks yummy! Thanks for sharing with us at Merry Monday. You are welcome, thanks for hosting. I absolutely agree, Pumpkin Bread is definitely good all year round! Your recipe looks delicious, Melynda, and I'm so glad you shared it with us at Hearth and Soul.